Only the privileged few, the “supermen” above the law, may commit murder, or at least this was the claim of Loeb and Leopold who committed arguably one of the most controversial crimes of the 20th century. When I watched Alfred Hitchcock’s “Rope,” an adaptation of Patrick Hamilton’s play about the famous case, I became engrossed in this case because it just so happens that the murderers cited Nietzsche’s philosophy to justify their actions of killing a young boy at random. Their aim was to commit a perfect crime, to show the world that they were above its moral code. As an aside, a curious thing happens right in the beginning of the film: Brandon (Leopold) and Phillip (Loeb) are discussing Nietzsche’s apparently novel idea that laws are made only for the weak and that the strong can supersede the laws and act as they wish, apparently without having to suffer consequences for their actions. Curiously, Dostoevsky’s “Crime and Punishment” is also mentioned in the film. The thing that interests me here is that Rodion Raskolnikov, the protagonist in Crime and Punishment, says just this! In fact, this is exactly the reasoning that he uses to murder the old woman in the novel. Except that it was too early for Nietzsche’s superman (Nietzsche had not written about it yet), so Rodion Raskolnikov does not want to be superman – he wants to be Napoleon, the most culturally relevant person in the hopping 1860’s who epitomized the idea of being above the law, being all that and a big of amoral chips, basically. This is curious to me because Nietzsche gets a bad rap for being a nihilist and bringing these types of ideas into the world, whereas the reality is: Nietzsche did not actually advocate such an interpretation of superman and he was just one of a number of great writers who predicted that people in the postmodern era will begin to think in such a way, not the same as saying that they should act in such a way. 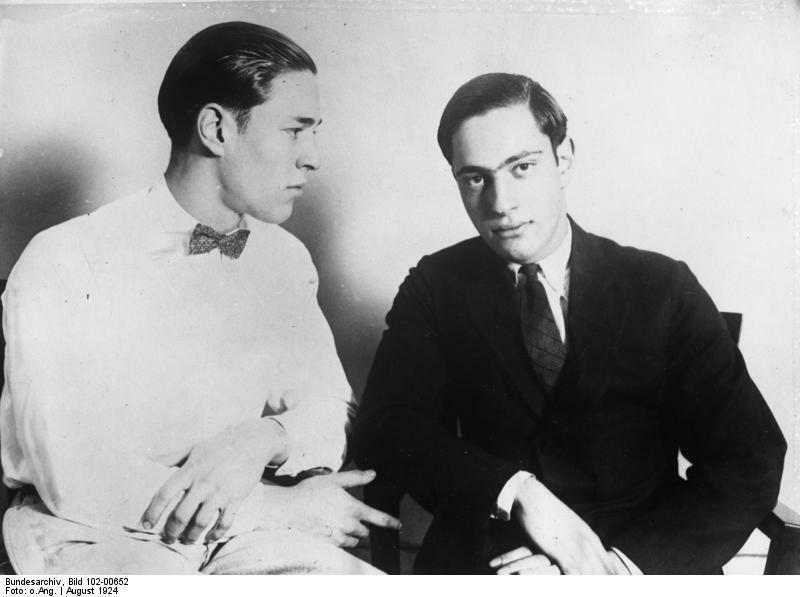 So what do the shadows of Leopold and Loeb misinterpret about the idea of superman in “Rope?” The first mistake is a little involved and may take some brain gymnastics to comprehend, even for someone with astute intelligence that Leopold was rumoured to possess; it’s not even necessarily too intellectually advanced, it is that it requires a synthesis of the emotive and the rational to fully grasp it, I believe. That is, Nietzsche’s call to go “beyond good and evil” is absolutely not the same as Leopold’s idea of being “above good and evil.” “Above good and evil” signifies that you understand the laws that humans have created and you have chosen to place yourself above it, to disregard it, and say it does not apply to you. In that, Leopold is no different from anyone who commits any crime. Leopold is also no different from Napoleon or any other would-be emperor who claims to be “special” enough to claim thousands or millions of lives just to have their goals fulfilled. So in being above good and evil, Leopold has nothing to do with Nietzsche because Nietzsche certainly did not advocate simple anarchy and nihilism. Anarchy and nihilism are incompatible with many parts of Nietzsche’s philosophy. If that was all Nietzsche advocated, he would be no different from the perennial anti-establishment folk who always persist right along the establishment. We would not still be interested in Nietzsche because in preaching anarchy, he would be preaching nothing new and, frankly, it would be a bit boring. “Beyond good and evil,” on the other hand, has less to do with lawful behaviour and more to do with a radical examination of your own values. Brave souls who are willing to go “beyond good and evil” are willing to examine their assumptions about life, to lift the veil behind whatever authority has handed them their moral code, saying, “here, this is right and wrong, don’t think too much about it and just do as I say.” Nietzsche thinks that such questioning takes courage because it is unusual, unfamiliar to us. In a post-Nietzschean world, I see a number of people who have asked such questions and, as a result, made a change for the better in the world. The feminist movement. The civil rights movement. The gay liberation movement, as it was called in the 1970s. I cannot speak for all women, but I know I enjoy my right to choose my own career and own property. The other misinterpretation is a little more straightforward, and I am afraid that Leopold in the film (and likely in reality as well) made the same faux pas as the National Socialist Party when it came to Nietzsche’s philosophy: he interpreted it to suit his own desires, which were already forming around a strong obsession with crime, sprinkled on the fertile ground of being bored in a life of perpetual instant gratification (because that can get boring, too). Not only that, but he also failed to see evidence that disconfirmed his interpretation. That’s just another way of saying that he didn’t really look into the philosophy deeply enough past the point where he found something he could use to justify himself. Really, nothing new here, as people who have started wars based on certain principles over the course of history are familiar with justifying violence with a particularly good passage from their pet book on morals (just think of the Crusades). This second misinterpretation is more grave, however, and here it is: Leopold believes that superman is “super” becomes he is better than others, and so he is allowed to overcome and overpower them. Nietzsche’s superman does not overcome others. He has to overcome himself. The beliefs, values, the idea of good and evil that the superman has to go “beyond” are most strongly rooted...in himself because to Nietzsche, your own convictions, habits, and beliefs are often your worst enemy. This is an easy mistake to make. Nietzsche writes flamboyantly, dramatically, like a poet or an ancient Greek orator, not like a philosopher attempting to hammer that logical syllogism about the cat that is forever on the mat into your consciousness if that’s the last thing he ever does. Nietzsche’s writing is not concerned with being dry and logical. It is concerned with passion for his ideas. As such, when he writes about supermen being superior to others, it is all too easy to take these words literally and look no further. But upon a more careful investigation, it becomes readily apparent that Nietzsche calls for you to first question your own beliefs – that is, the rights and wrongs you take for granted. That does not mean that he wants us to do away with all laws and values (people do like to jump to extremes immediately). But he wants us to bring light to why we believe what we believe so that rather than blindly believing things on authority, we can make a conscious choice about what to believe. Loeb and Leopold case study is quite interesting to understand. These case studies should be shared so people may come to know about what is going inside a murderer's mind. The new case study with the new topic you shared it here, it’s very interesting that is having the unique kind of the sense. With the visiting http://www.intimeessay.com/ of this site you can get the better case studies also. Failed to understand why does http://bestwritersonline.com/services-reviews/smart-writing-services not assist the junior grade students in their essays. It will not improve your credibility. Our writers continue giving cheap assignment help services to all its students and make sure that you do not suffer your work. Thus we can easily do all your task instantly. The My Assignment Helpers at StudentsAssignmentHelp.com are working dedicatedly to finish your work within the asked deadline. You Provide Best Information. I like it.this blog extremely intrigued.Much obliged to you for sharing this helpful Article. Reading emails is a part of our daily routine, whether we like it or not. We use emails to communicate with friends, business professionals and so on. But the challenge that comes with emails is that you always end up with quite a lot of spam. Many times this can actually hurt your productivity since you end up spending more time checking out spam content instead of the emails you really need to read. That’s the reason why you need spam filter solutions as fast as possible and EveryCloud can help with that right away. The singles "Still Got Time" featuring PartyNextDoor and "Dusk Till Dawn" featuring Sia only appear on the Japanese edition of the album. I for one like your post; you have shared great bits of knowledge and encounters.